July on The Logonauts. Your one-stop shop for all posts previously published in July. #3rdfor3rd: Flora and Ulysses. 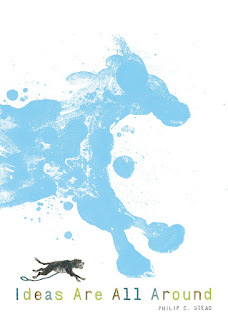 Elsa recommends this book "to any one one likes (or loves) animals and adventure." Kid Lit Blog Hop for June. The monthly #KidLitBlogHop also went live last week. Check in and share any kid lit related posts and reviews. Finally, check out this Top 10 List of Diverse Cybils Picture Books that I compiled. Lily and Dunkin (2016) by Donna Gephart. I thoroughly enjoyed this charming new novel! Each telling their side of the story, eighth graders Lily (neé Timothy) and Dunkin (neé Norbert) are both trying to figure out who they are and their places in the world, as they work through the special challenges of middle school. Lily is looking for the confidence (and parental support) to publically embrace her transgender identity, while Dunkin is worried about fitting in at a new school and balancing the demands of his bipolar disorder and medications. This is an important book for so many reasons, but even more important, it's a great read and an engaging story. 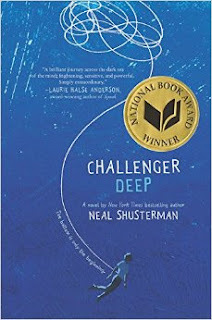 Challenger Deep (2015) by Neal Shusterman [National Book Award and Golden Kite Award Winner]. This is another powerful story, and one presents a much murkier and deeper picture. Loosely based on his son's experience with mental illness, Challenger Deep is an immersive foray into the realities of living with mental illness. Told in first person, Caden narrates chapters that vacillate between his everyday life and a free-wheeling sea-based adventure story. These sections may be a bit challenging for readers with almost a Sound and the Fury-style feel in places, but rather than "signifying nothing," it is these sections that will touch readers and bring them to a greater understanding. One that I will consider recommending to mature middle school readers and up. I don't think I've ever read anything by Shusterman. This one does sound intriguing. Come see what I read last week here. Happy reading! Challenger Deep is such an amazing book and important story. It was definitely a difficult read, both in content and writing style, but I found myself really enjoying the challenge. Loved all three books, Katie. Ideas Are All Around is a favorite picture book this year. The other two are important stories that everyone needs to read. Challenger Deep has been on my list for far too long! I need to search my shelves and find it. Thanks for the great review. 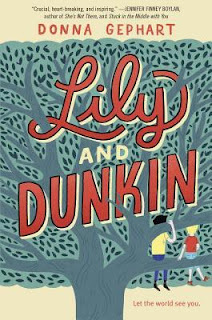 I really need to get my hands on Lily and Dunkin - it's so thrilling to see more trans protagonists in MG fiction! !